Perhaps, over the years, you’ve tried drop that last ten pounds but it’s stayed put, making itself at home around your middle. It could be that you’ve got a lot of weight to lose and have tried every fad diet going, but to no avail. Whatever your personal weight situation, within this 3 part series, I will be uncovering the most effective ways to lose body fat. All of the tips here are easy to implement, and will finally get the scales moving in the right direction. Before we crack on with the weight loss advice, it should be said that these methods can be used alone or together. How much you do really depends on your weight loss goals, or how much you can physically handle. I would say that exercise is very important, however if you and have your local pizza place on speed dial, and a Big Mac is your idea of a light snack, then the diet will almost certainly cancel your exercise efforts. So, diet and exercise needs to go hand in hand. If you are significantly overweight (over 25 percent body fat in males and 30 percent in females), then it’s best not to push your body too fast too soon. Begin your fat-burning phase with weight training and low-intensity aerobics, this helps ensure the body isn’t put under undue stress at this stage. This method works well for easing into a program with higher-intensity. When the intensity is kept at about 70 percent of maximum heart rate, and goes beyond the half hour mark (with one hour being the eventual goal), moderate aerobics can burn a greater amount of body fat. The best workout routine for someone who is significantly overweight would be high repetitions, weight training and moderate weights. It’s also important to bear in mind that for maximum results, aerobics and lower-intensity weight training should both be done in the same training program. It has to be said, that for anyone in the obese category, few things beat walking. It’s the ideal low impact aerobic activity and isn’t overly strenuous on the joints. It works all the muscle groups, and moves every body part. What really makes walking so beneficial, is how easily it can be fitted in your daily routine. For example, leisurely walks instead of car rides, giving the elevator a miss and taking the stairs, or just volunteering to take the dog for a walk, can make all the difference to your weight loss goals. It goes without saying that the wrong kind of fat increases weight gain, otherwise most of us would be on the “all fries you can eat diet”. But why is bad fat, well..bad? Essentially bad fats increase inflammation, impair liver function and if that wasn’t enough add inches to the waist line. Here’s another thing to consider when taking in the wrong kind of fats; the body typically will burn carbohydrates for fuel and use protein for repair, so what you have are these “bad fats” floating around creating gains and doing damage to the body. So if you want to get lean, cut back on the bad fats while increasing the good types of fat. What are the good fats? Glad you asked. Good fats will be things like omega-3 and omega-6 fatty acids. These fats are actually fat-burning, as they increase metabolic function (this is the rate in which the body uses stored energy). Some of the most beneficial ways to get plenty of good fats, Omega 3 in particular, is through fish or fish oils. The Omega 3 in this will help decreases inflammation, balance hormones, help alleviate depression and reduce symptoms of arthritis (to name just a few of the benefits). It’s for this reason getti there use should be encouraged on a day to day basis. Complex carbohydrates such as beans and sweet potato generally increase fat-burning. This is because they stimulate the metabolism without causing a flood of insulin, which only creates more fat storage. These, when used in diets, keep the fat burning at its optimum. On the other hand, simple-sugar carbohydrates are to be avoided during a fat loss phase, due to the large insulin spike they create and subsequent fat gains. Also, simple sugars tend to be higher in calories. Want some example of some simple sugars? Think anything with fructose corn syrup (terrible for weight loss and keeping sugar levels stable), cakes, junk food, and candy. I think you get the picture. In regards to essential carbohydrates, fiber is up there. It can be found in wholegrain, legumes, leafy greens and certain fruits and vegetable. High fiber foods are vital for fat loss as they increase the feelings of fullness and also do a great job of pushing that fat out of the body to be eliminated. Yes, there really is a optimal time to eat complex carbohydrates for fat loss. That time would be before 6:00 p.m. When it comes to simple carbohydrates (weight loss doesn’t mean you can’t have treats from time to time), these are best to be eaten directly after training. This means that the body is more likely to store them as glycogen, instead of storing it up as fat. 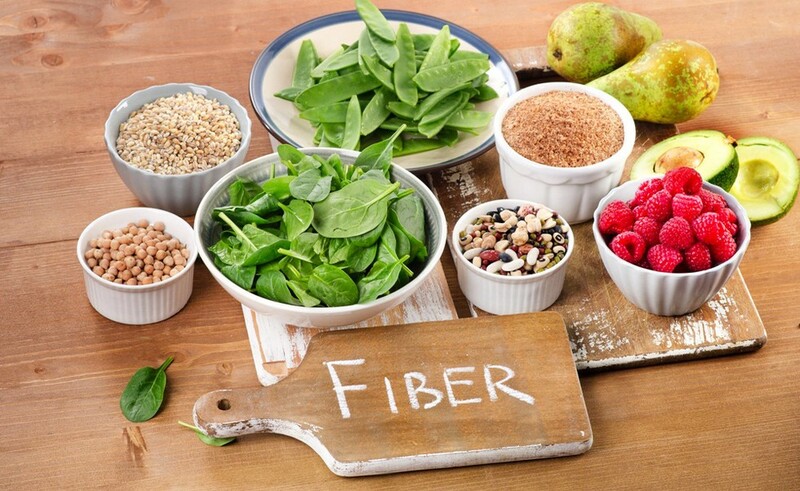 For better health, it’s recommended that you should have at least 30 grams of fiber a day. If you’re looking for increased fat loss, add another 10 grams to that. For extra fiber, a little weight loss hack that I learnt years ago was to simply add prunes to my porridge, and eat them as snacks. You don’t need to do this every day, but just when you’re too rushed to make a fully fiber filled meal. Prune are great for a flatter tummy and the smooth flow of other functions. One of the ways to drop off the bandwagon, and stop training altogether is boredom. Most of us can relate to this, you start off with great intentions, going to the gym religiously, or that run around the park, then it just gets – dull. To prevent this, try mixing it up a bit and do a wider range of aerobic activities. When your aerobic activities are varied, it will also have differing fat-burning effects. This combination will stimulate the metabolism to greater heights, therefore upping the ante on fat loss. The idea behind training first thing in the morning, or after weight training, is that it will stimulate greater gains in fat loss. What happens is that glycogen stores are depleted around these times, meaning that fat is used more directly for fuel. In a lot of cases, this has been a good fat burning strategy. However, some argue that they don’t believe it makes any difference. Either way, the only way you will know if it works for you is by trying it out. Hopefully the tips outlined here will set you well on your way to the nirvana that is fat burning heaven. And if it’s not quite hitting the spot, not to worry, I will be revealing more weight loss tips to get your body geared up to lose the fat, and get healthy. Fitness and training have always been a huge part of my life. As a nutrionist and health writer of over 5,000 fitness, weight loss and nutrition articles, I believe in the old adage, eating to live rather than living to eat. That being said, I think healthy food should be tasty and fitness should ALWAYS be fun. Previous Post - Previous post: What Causes Stomach Pain After Exercising? Great blog right here! Also your web site loads up very fast!